“Won’t You Be My Valentine” is a little memory book for young children. There are 6 different choices of front covers for the little memory book included in this freebie. 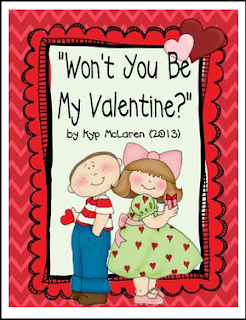 Each child will have a Valentine memory book to collect all of their Valentine cards from their friends. Instead of throwing away their cards after they open them they will have a little keepsake book to read over and over! We glue their cards into their books and they write the name of each child they received the card from. What a great idea for Valentine parties and meaningful too!